Updated: May 14th, 2018 (added support for Internet Explorer and Edge). Since the dawn of GDPR is getting really close, marketers, web analysts and others are rushing to be compliant. 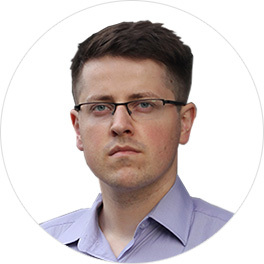 I have to be honest, I still feel confused a bit about how this (so you’re not alone), therefore do not ask for a legal compliance advice from me. I’m not the right person. By the way, if by any accident you had been living on an uninhabited island for the last several years and just returned to the civilization today, here’s a pretty detailed but easy-to-digest guide to GDPR (prepared by my colleagues at Omnisend). Even though I still did not get to lay my hands on an updated GDPR-compliant cookie consent, I found this another interesting topic that I wanted to play around with. P.S. as for a cookie consent, I’ve heard that Stéphane Hamel is working on a particular solution, so maybe I’ll just be lazy here and wait for him. Also, I’ve seen several other solutions but I’m not sure whether they are the best fit, time will show. Anyway, back to the main topic of this blog post. 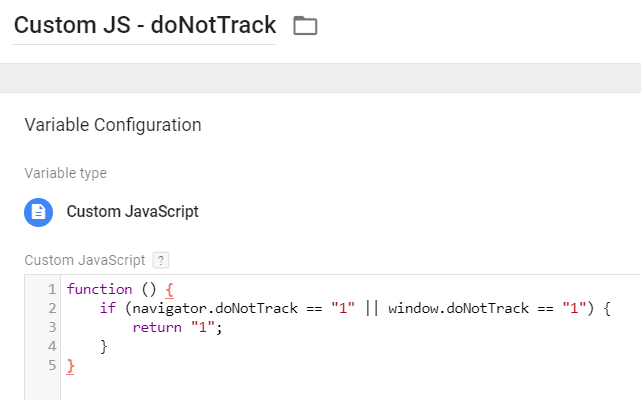 For those who didn’t know, there’s a parameter that internauts can enable in their browsers called Do Not Track. 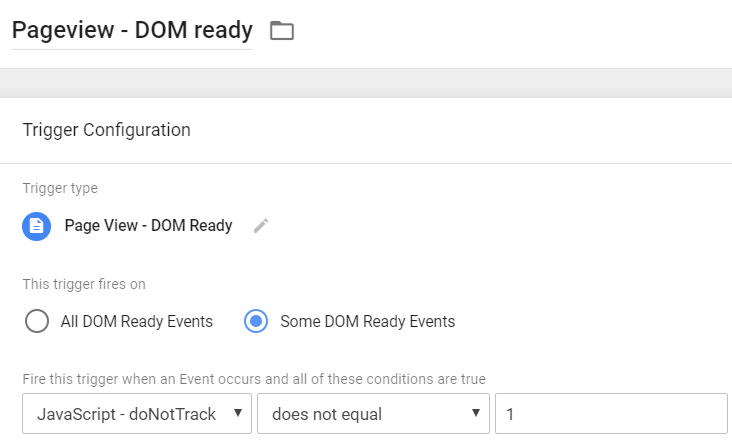 And in this quick guide, I’ll show you how to honor that parameter in GTM and block tracking scripts accordingly. Do Not Track is a technology and policy proposal that enables users to opt out of tracking by websites they do not visit, including analytics services, advertising networks, and social platforms. You can find a more technical description here. As far as I know, web tracking tools usually ignore this setting (GA is not an exception), therefore, if you want to respect it, you (or your developer) should set things up by yourself (directly in the code or via Google Tag Manager). 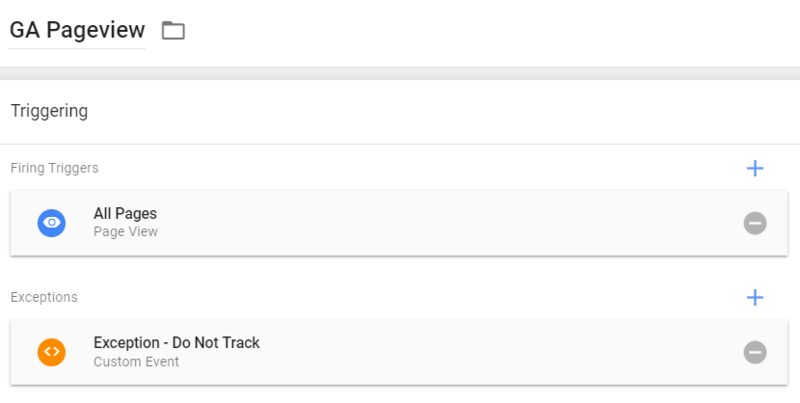 Do Not Track is a nice way to be more honest and fair as a marketer (or web analyst, or whatever) to people who have specifically requested not to be tracked, and you’ll give those people faster page load times to boot. Anyway, correct me if I’m wrong (which is totally possible in this context), but I’m pretty sure that respecting this parameter is not required by the GDPR. There are other measures that businesses around the globe must implement, like a consent to track + manage personal data. In this case, Do Not Track is like an additional nice-to-have instrument not to get screwed by the regulations (you know, just in case). Once again, I might be wrong but after doing various searches, I did not find Do Not Track being explicitly mentioned. Vincent believes that DNT is within the scope of an automated means using technical specifications. And you know what, that sounds convincing, therefore, I updated this blog post with his comment. Nevertheless, you should not follow this blog post as a legal advice, always consult real lawyers first. The purpose of my post is to show the technical possibilities and how GTM can help you achieve them. How do people enable it? By default, Do Not Track is disabled in the modern browsers but users can enable it right away. Here are several instructions, you can check if you like: Chrome, Firefox, IE, Edge, Safari, Opera. After this is done, with every HTTP request, your browser will also send a parameter DNT: 1 (which means Do Not Track: True). So here’s the plan. We’ll somehow identify whether a visitor is willing to be tracked or not (in other words, whether Do Not Track is enabled). Then we’ll use this fact in triggers which fire tracking tags. 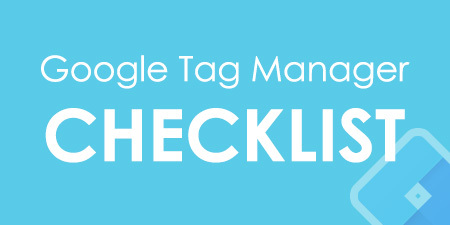 In Google Tag Manager, open a Container where you’ll be implementing this feature. Go to Variables > New, then click Variable Configuration. 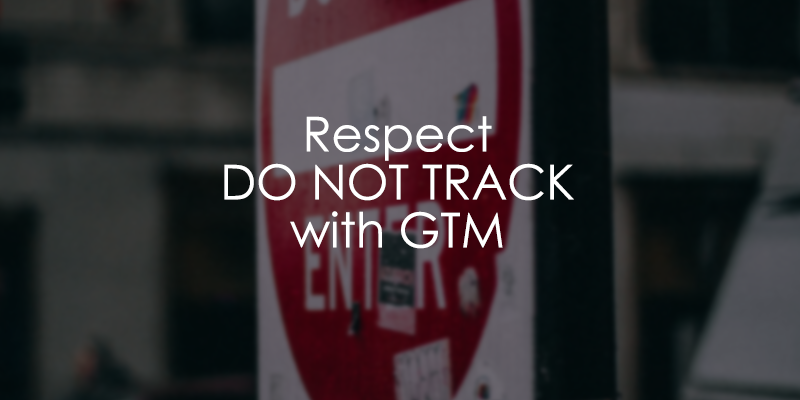 Now enable that Do Not Track parameter in the browser and refresh the page where you’ve enabled GTM Preview Console. Reminder – here are the links to the most popular browsers: Chrome, Firefox, IE, Edge, Safari, Opera. Update #2! READ THIS! In the comment section of this blog post, Jen pointed out that navigator.doNotTrack works only with non-Microsoft browsers. In other words, Internet Explorer and Edge would still be tracking visitors. This trigger meets the criterion of EVERY event when Do Not Track is enabled. 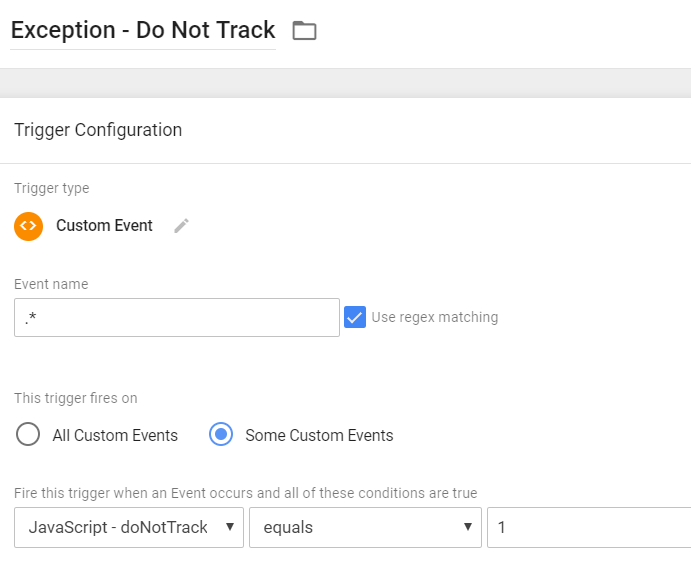 Now add this trigger as an exception to EVERY tracking tag (GA, Adwords, etc.) 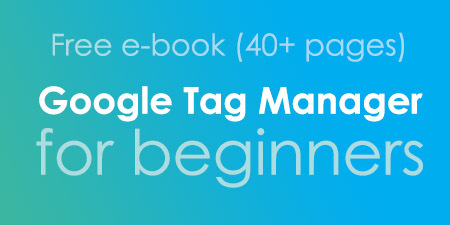 that you have in the Google Tag Manager container. Done! 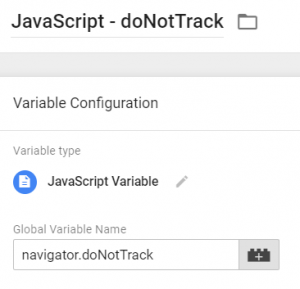 Whenever a visitor has enabled the Do Not Track parameter, all updated tags will not fire. User and visitor privacy is becoming a greater concern every day (especially in the current context of GDPR, Facebook scandal, etc.) and Do Not Track parameter is one of the things you should take into the account while implementing tracking features on a website/web app. If a visitor lands on a page and his browser sends “Do Not Track” parameter, this should be considered as an explicit opt-out and you should disable all tracking. 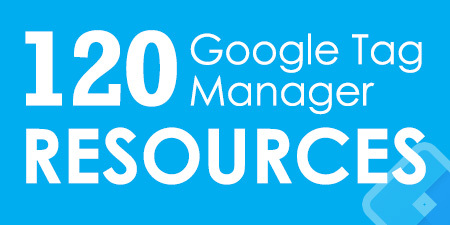 Thanks to GTM, that’s pretty easy to do. In my opinion, GDPR does require honouring DNT. A DNT:1 signal is a valid browser setting communicating a visitor preference. It could also be interpreted by regulators as an exercise of the right to object to profiling. There only need be one complaint to any of the EU regulators concerning a DNT signal being ignored for the prosecution process to begin. This will eventually establish case law on the subject. Any website operator choosing to ignore DNT does so at their peril. I will not argue that and you might be right. It would be even better if you could give me a reference where this is mentioned in the GDPR (at least in which recital) so I could update the blog post and inform the readers. GDPR does not describe DNT specifically. It is down to an individual's intepretation until case law exists on the subject. My intepretation is based on the following, but mostly Article 21, 5. - Not honouring DNT status may have to be notified. Make sense, thanks. I'll update the blog post accordingly later today. Thanks for this post. I just checked this on my blog and yes, GA PV tag was still firing even though I turned the DNT option in Chrome. Would you know why GA is able to circumvent this privacy option in their own browser? Also, post 25th May - do you know if this will change or will we still need to setup the exceptions as per the instructions shared above? Hey, unfortunately, I don't know the reason behind this and I'm not aware what will happen after May 25th, so the best option would be to prepare on your own and follow tips I've listed in this guide. Just created a thread on GTM product forum. It can be followed on the below link. Hopefully, somebody can weigh in on why GA/GTM is able to fire even with this privacy setting on. Good idea, thanks! Let's see what others have to say. navigator.doNotTrack does not work in IE and Edge, right? they use window.doNotTrack. Is there a way to combine this?